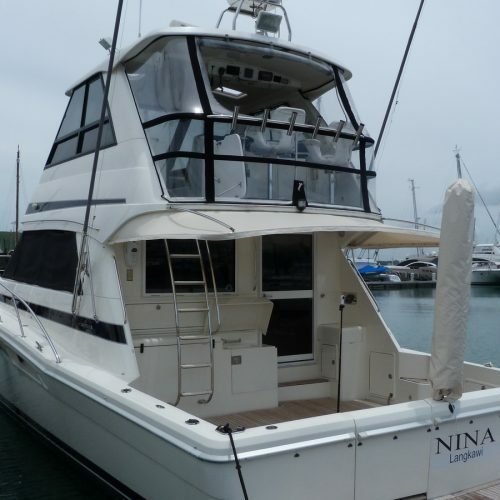 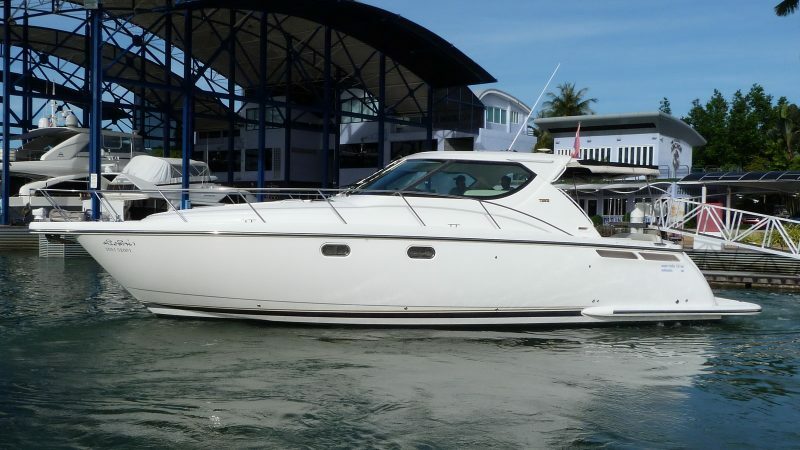 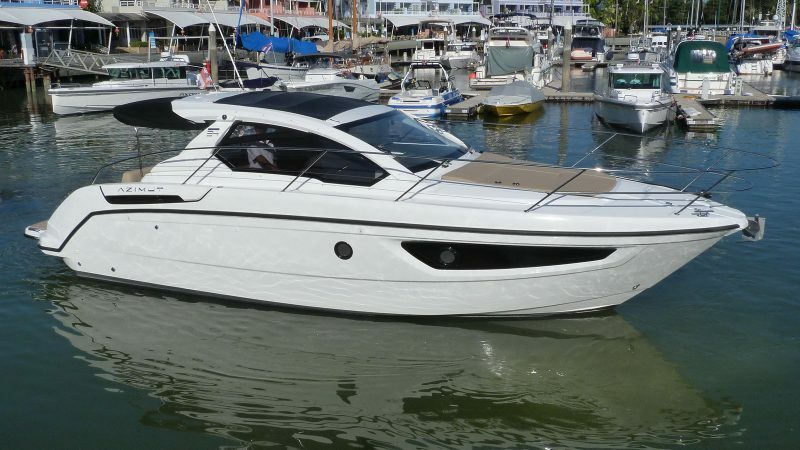 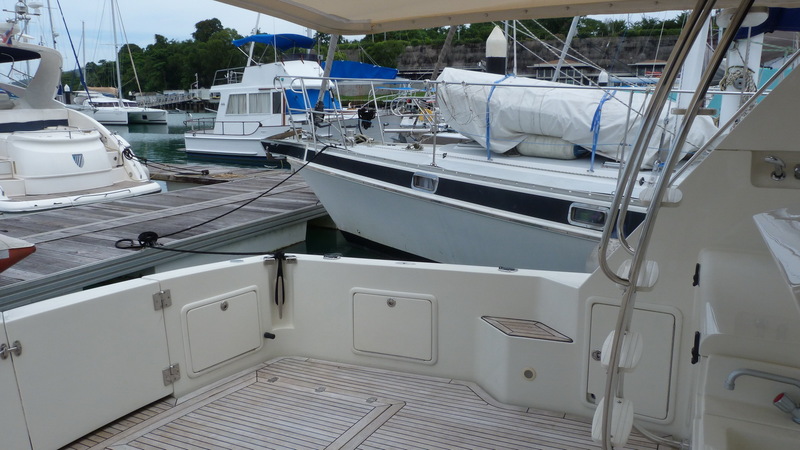 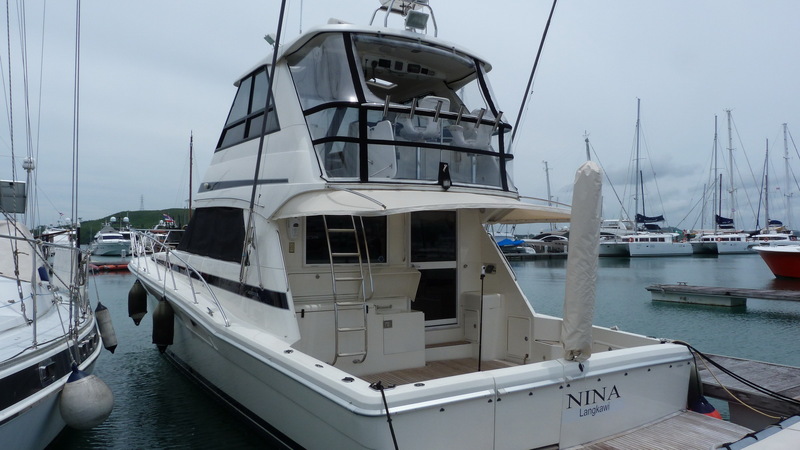 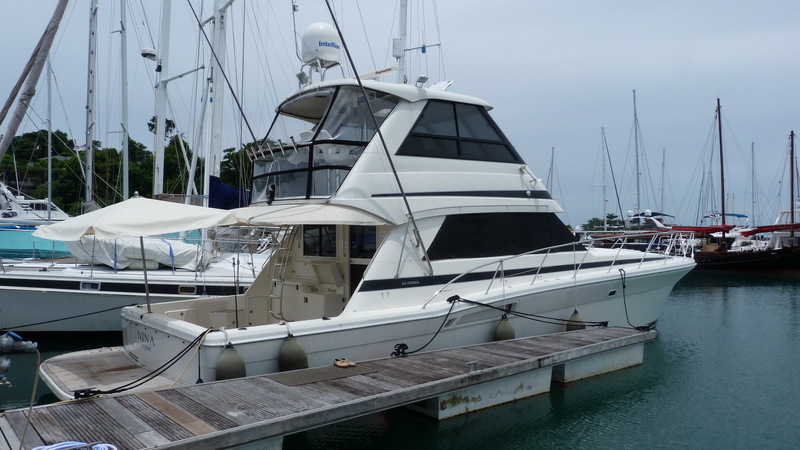 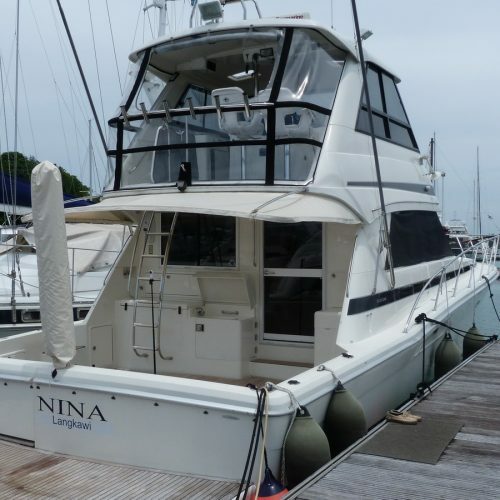 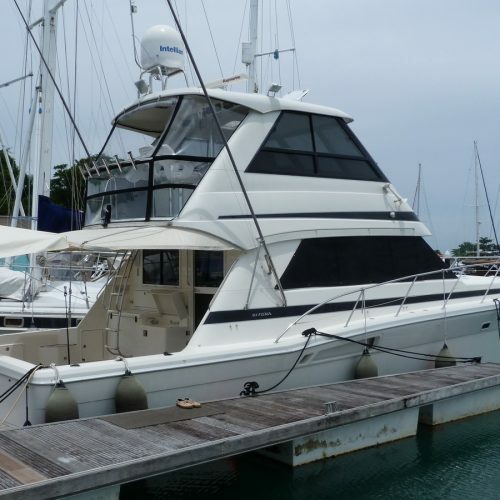 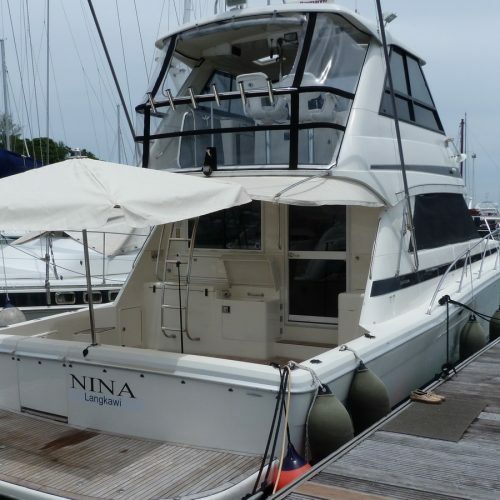 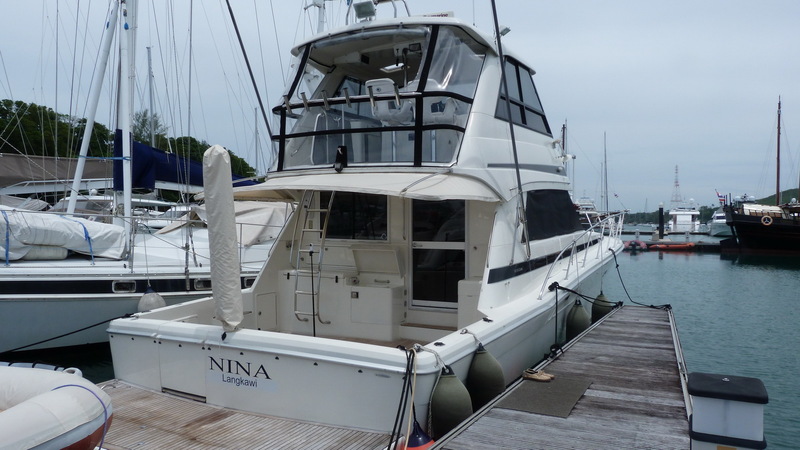 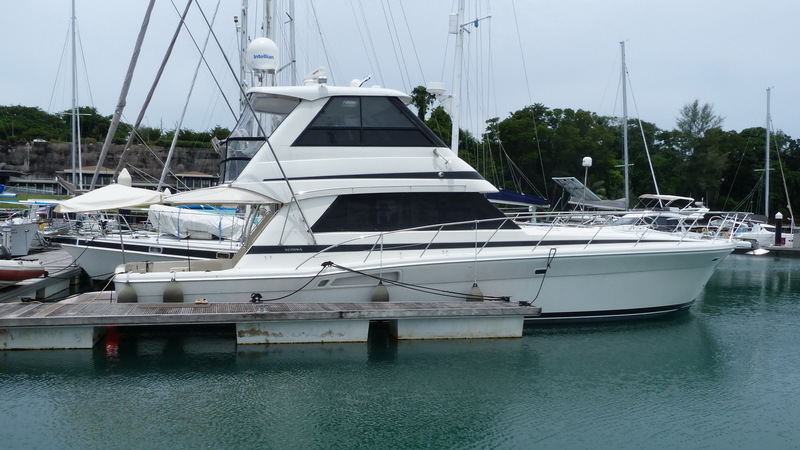 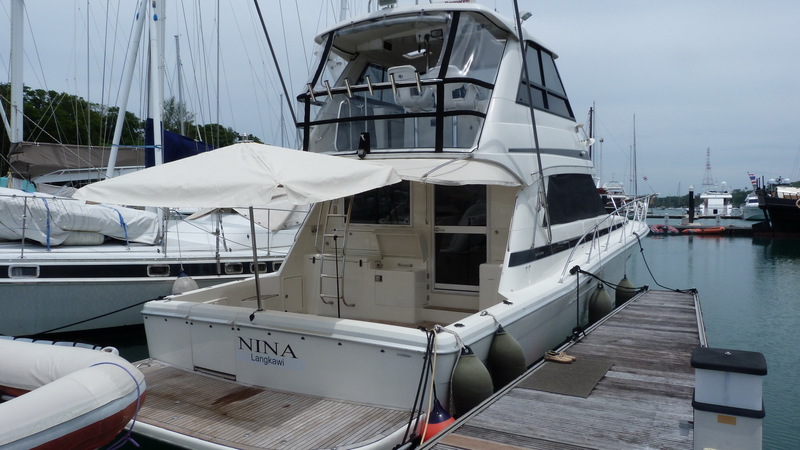 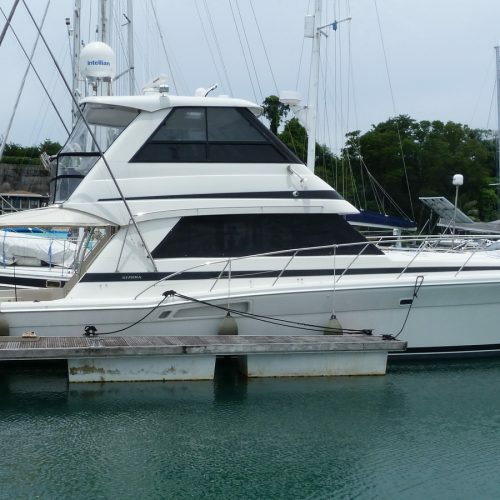 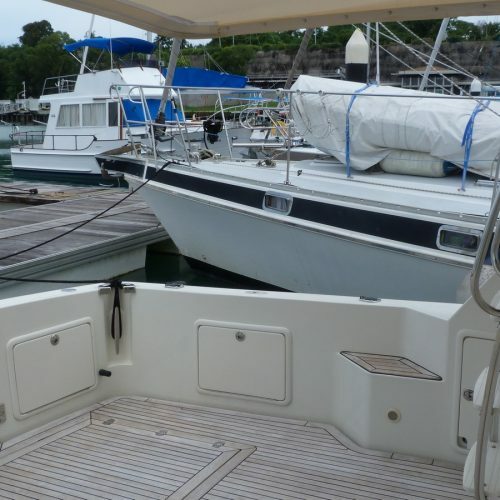 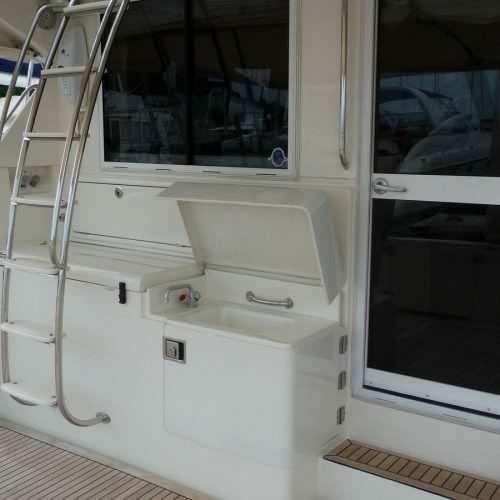 This Riviera 48 enclosed flybridge presents in excellent condition for her age and is both a comfortable family cruiser and serious fishing machine combined. 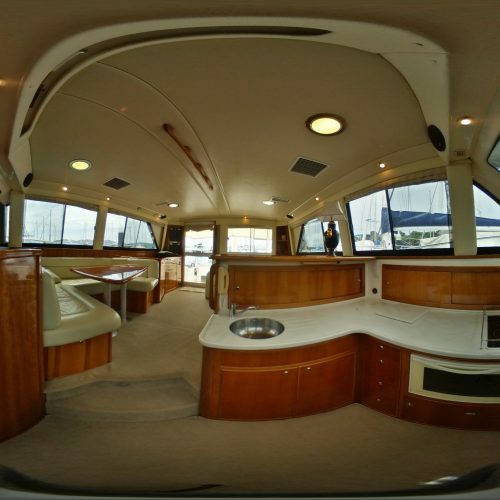 The enclosed flying bridge means there is only one steering position which maximises the saloon space with a comfortable lounge aft, spacious dinette and large step down galley with full-size refrigerator. 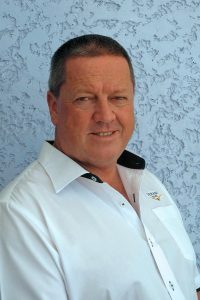 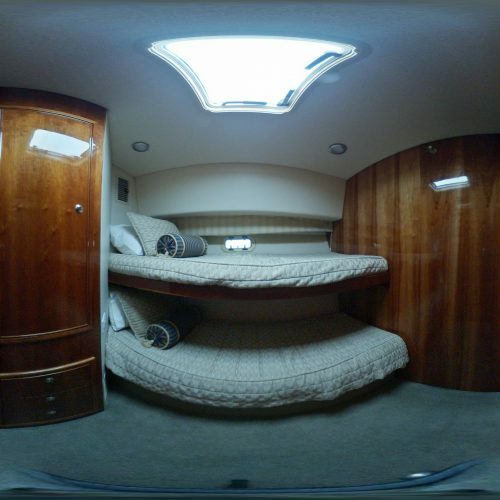 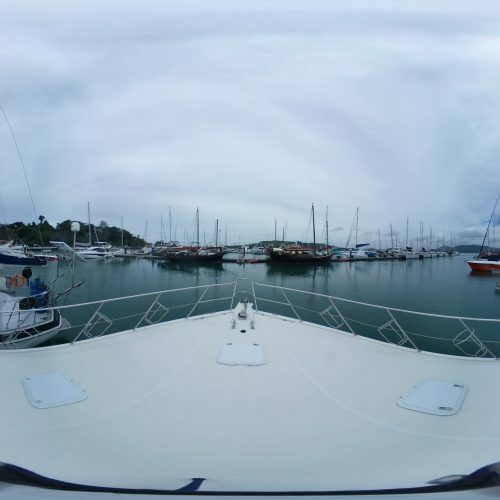 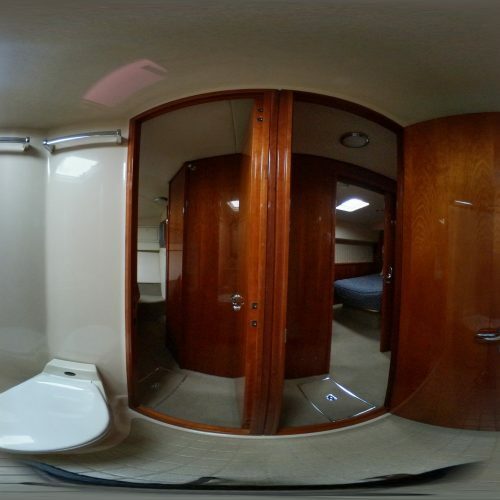 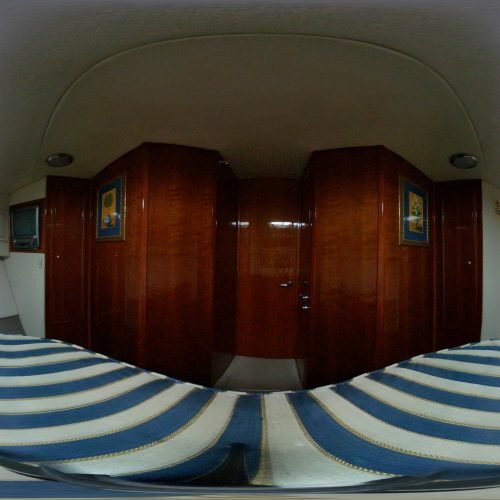 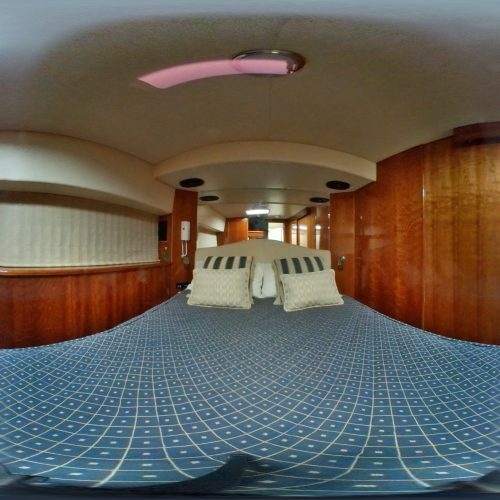 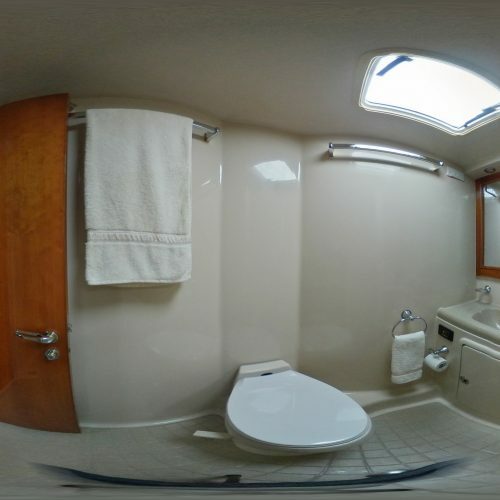 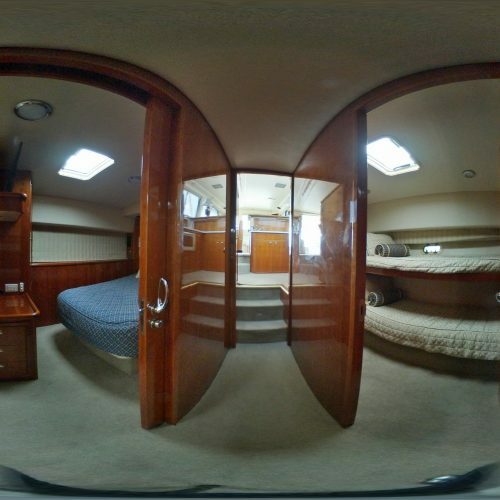 Accommodation comprises an ensuite master cabin to starboard, a twin bunk to port and a forward double with access to the day head. 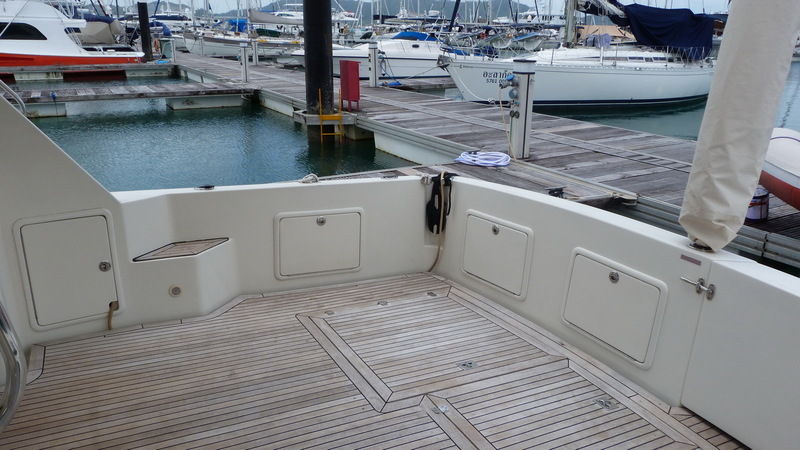 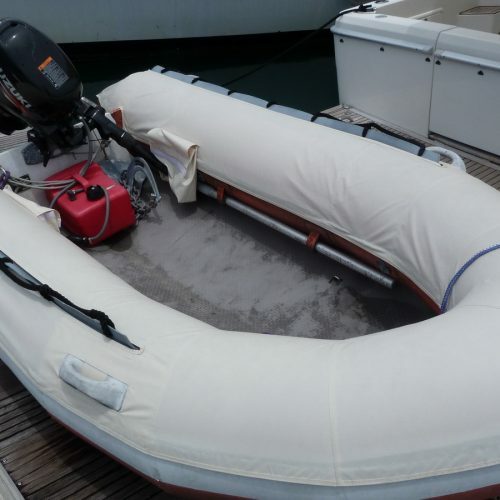 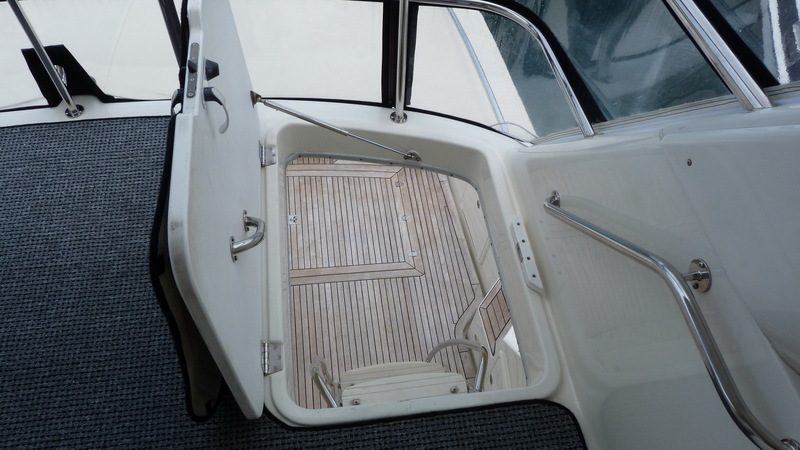 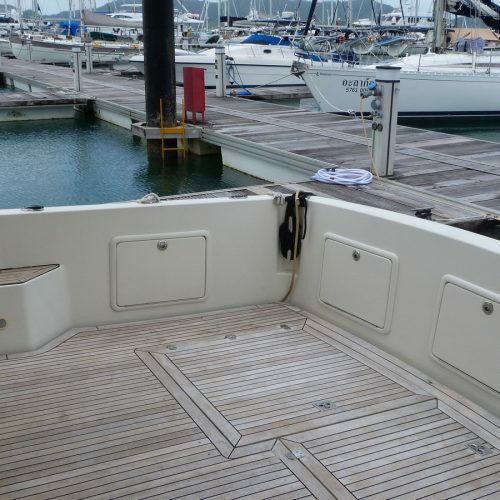 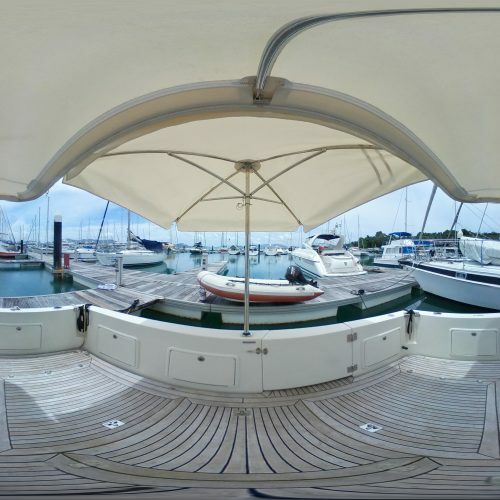 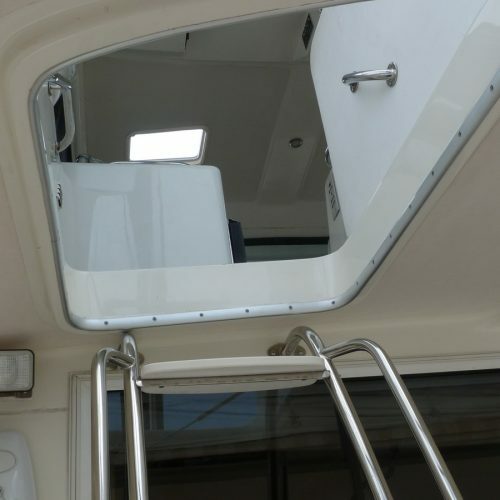 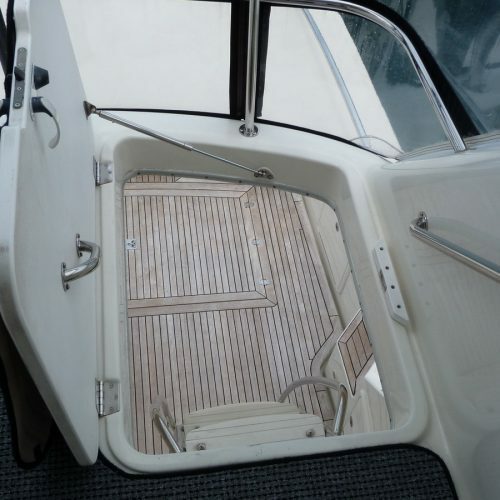 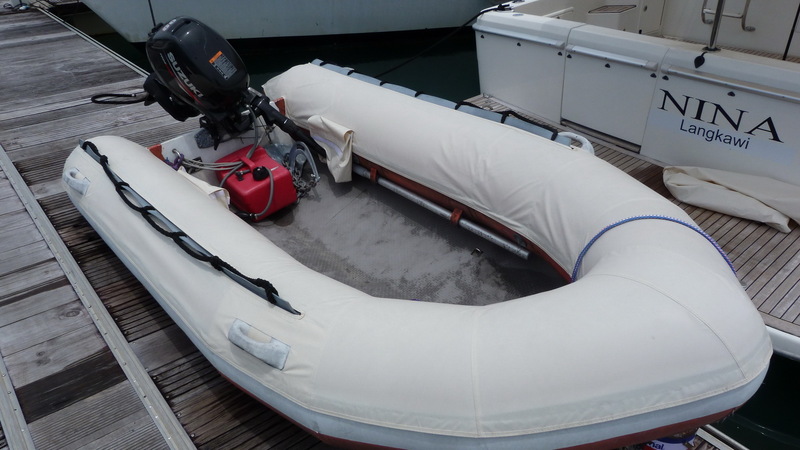 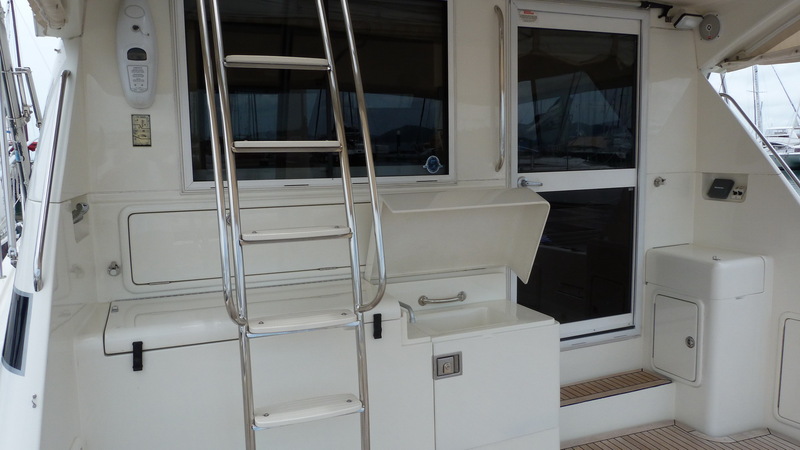 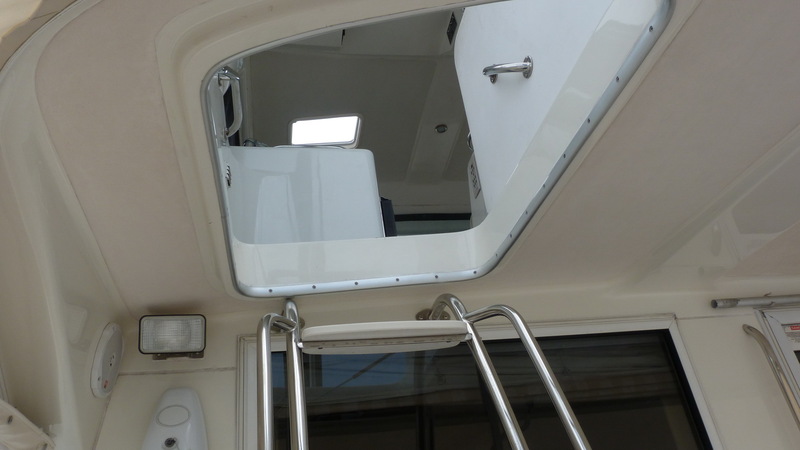 The large teak cockpit is protected by an awning and shade umbrella with a big swim platform aft for the rigid inflatable with 9.9 horsepower outboard is easily accessed via the port side transom door. 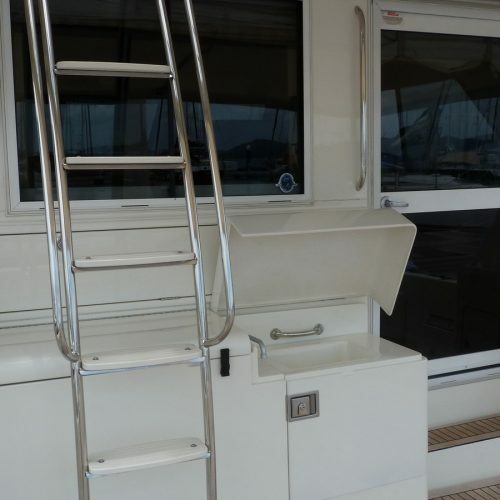 The cockpit and has a sink and a freezer for family trips or bait and catch when fishing with the twin outriggers. 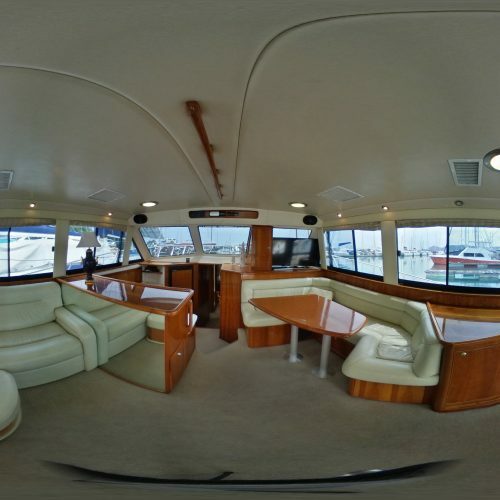 Up on the air-conditioned flybridge there are twin helm seats aft and a spacious lounge with table forward. 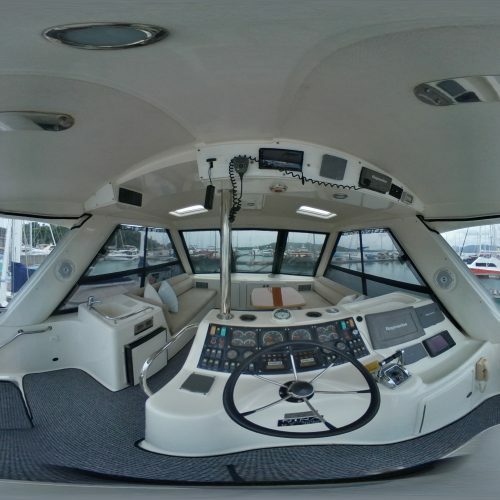 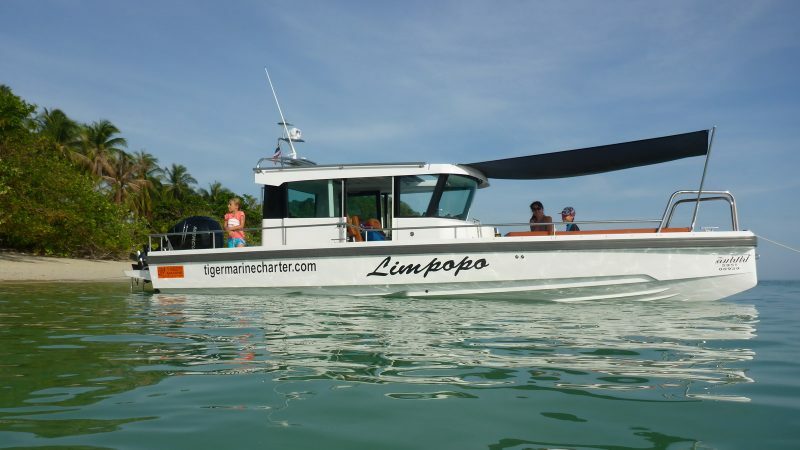 The boat is powered by twin 660 horsepower Caterpillar 3196B engines for a top speed of 28 knots and a cruising speed of 24 for a 500 mile range. 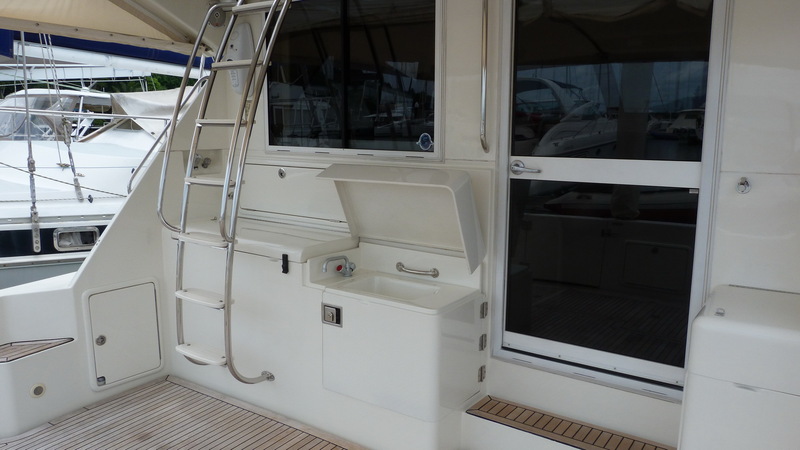 A 16 kva Kohler generator powers the tropical air-conditioning and watermaker. 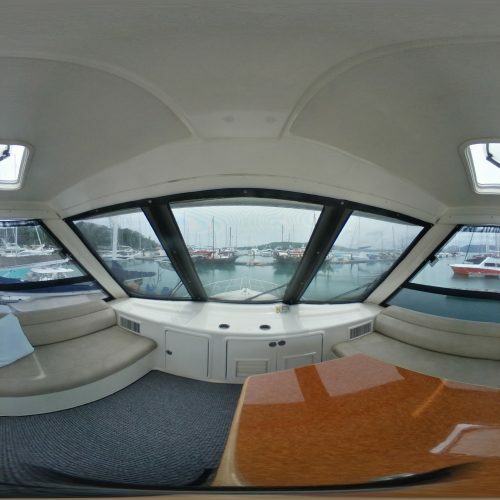 Entertainment on board includes a 42 inch smart TV and android stereo system.